One of my goals this year was to start launching online courses. I'm super excited to say that I HAVE MADE THAT GOAL TODAY!!! Woooo yeah baby!!! Because today I launched my first ever online mini course, and it's completely FREE! Yes, you can enroll for nothing more than ... well ... nothing! 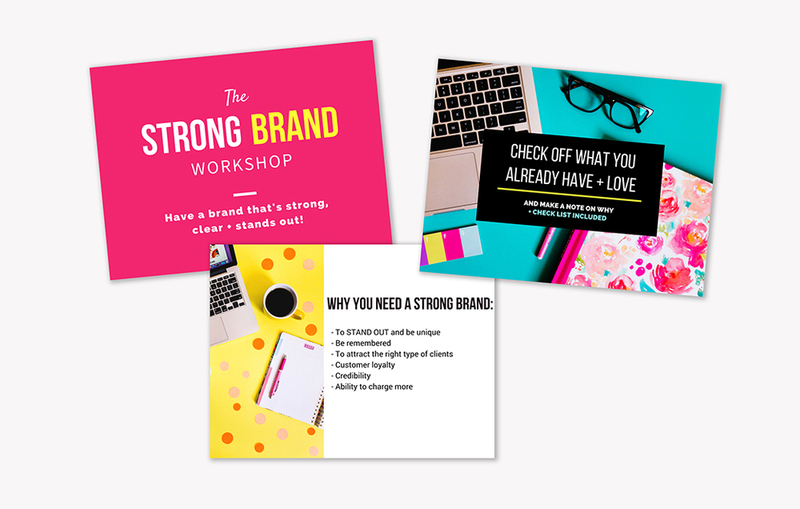 It's called 'Strong Brand' and is the perfect place to start if you want your brand to be strong, consistent and for it to STAND OUT, baby! You don't know what the heck a brand IS, exactly! You want to watch me act kind of ridiculous on camera! Also umm, I apologize in advance for my swaying. So grab your favorite beverage, put on your comfy pants and click here to enroll for free! The best part is that it's a self-paced course so you can start and finish it whenever you wish, although I'd highly recommend setting aside a couple of hours and doing it in one sitting!